We learn what you need and then use specific criteria to itemize a set price. When you receive a quote from one of our authorized representatives, this price is all-encompassing, and unless circumstances change, there will be no hidden costs or miscellaneous fees. We price weekly so as to be treated as a member of your team, not simply another vendor you work. Your employees won't increase their rates like a vendor might, and neither will we. We're not a traditional accountant that you see once per quarter or once per year. We're an extension of your team! Financial Statements Includes income statements, balance sheets, industry financial comparisons and more. Prepared by the 10th of each month. Scheduled Meetings 80% of our clients are virtual. We converse regularly over shared-screen meetings, video and phone chats, and email. Online Support Support via phone, email and Slack. Company-Wide KPIs Everyone else provides boring, accounting KPIs. We do that too, but we'll also work with you to report on the numbers you and your team really care about, like "number of calls needed to get a sale," "revenue per employee" or "average service client margins." 12-Month Forecasting What sets us apart! We take your financial statements and plug them into a 12-month forecast to see how they'll be impacted in the future. Bank Relationships We'll be your main point of contact and chief advocate for any credit increases or additional financing your business may require. We can also help during M&A activity. Resource Planning Outside of the reports referenced below in the WIP, we can work closely with your Ops person to help with resourcing. Individual Tax Return Note: Individual tax returns are only prepared for company shareholders. Other Bus. Tax Returns Tax returns for property, sales and excise taxes. Tax Planning/Projections Handled on a regular basis, throughout the year to avoid surprises. Cash Flow Management Cash flow meetings are conducted weekly for about 30 minutes with one of our accounting team members to go over the short-term cash flow (2 to 6 weeks). For solopreneurs or partnerships, we can handle your basic business tax returns. See our flat-fee business tax return pricing at the bottom of this page. 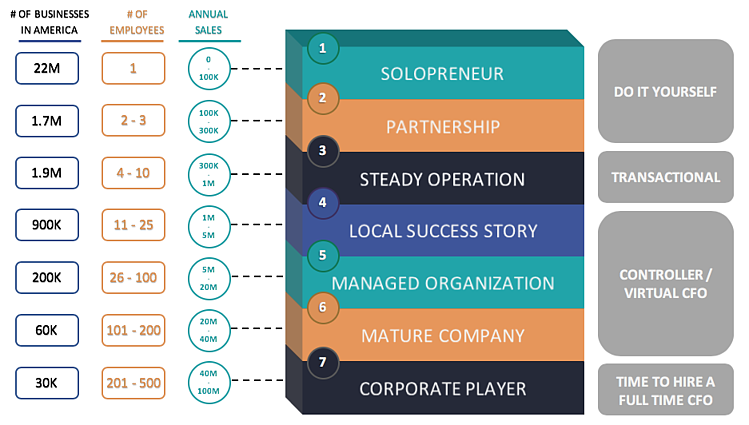 For steady operations, check out our Transactional value tier. At this point, we're not just assisting you with tax returns, but also with more strategic planning. We're not just a team of bookkeepers and accountants. We're experts in laying a solid financial foundation to help your business accelerate. 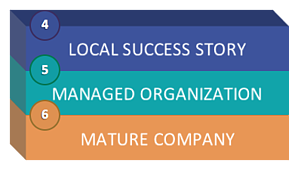 For local success stories, managed organizations and mature companies, check out our Controller or Virtual CFO value tiers. At this point, we're handling your accounts payable and receivable, and we're getting into much more strategic cash flow management and dynamic forecasting. If you're ready to scale, this kind of dynamic forecasting is a critical component of your future growth. When you get to the corporate player level, our processes and core business model are no longer a good fit. We typically recommend that you hire a full-time, staffed CFO. Considering hiring a Virtual CFO for your company? Let's chat!